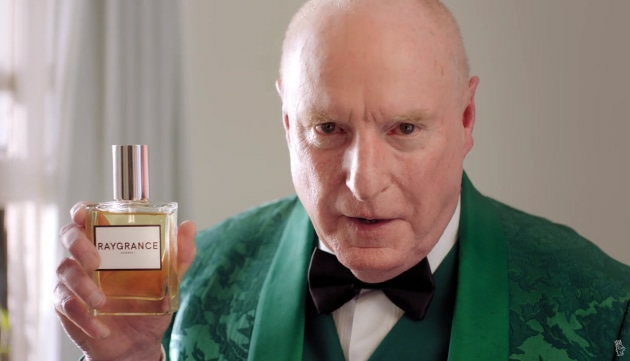 GoDaddy has tapped TV legend Ray Meagher, also known as Alf from Home and Away, to inspire small businesses to get online. The campaign, Raygrence, was created by With Collective and follows Ray's journey as a fragrance entrepreneur. The 30-second spot shows him making the product in his bathtub and selling it online with his website he built with GoDaddy. The fragrance, called Raygrence Number 1, is sold online at raygrance.com.au for $15 with the proceeds going to Cure Cancer. The push seeks to drive more small Aussie business online, following research by GoDaddy which found 59% of small businesses still don't have a website. “We’re delighted to again partner with TV legend Ray Meagher to show Australian small businesses and entrepreneurs just how easy it is to get online,” GoDaddy VP and MD AUNZ Tara Commerford said. The campaign rolls out across TV, outdoor, radio and social. It follows GoDaddy's previous ad with Meagher in which he created his own Flamin Hot Sauce.